MANILA -- The newly-enacted Philippine Identification System law got “extremely strong” approval from majority of the Filipinos, a latest Social Weather Stations (SWS) survey said. The survey, which was held more than one month before President Rodrigo Duterte signed the National ID system on August 6, showed that 73 percent of Filipinos approved the national ID or Phil-ID. On the other hand, only 18 percent of the respondents disapproved it while 9 percent “did not know enough to give an opinion”. This gives a net approval scored of +55, which the SWS classified as “extremely strong”. “Net approval of having a National ID system in the Philippines was highest in Metro Manila at an extremely strong +60,” the SWS said. It added that the net approval was also “extremely strong” in both urban and rural areas at +58 and +53, respectively. 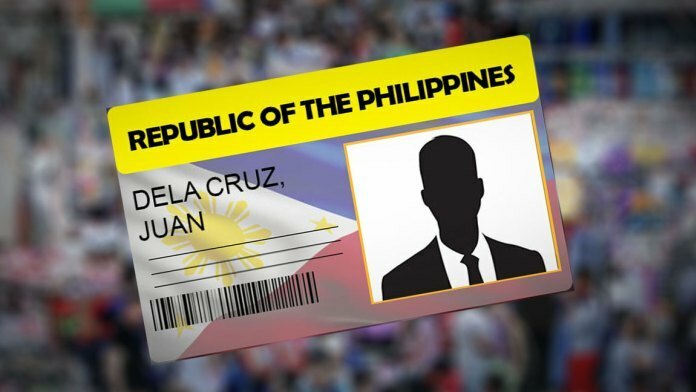 The survey also showed that three out of five Filipinos said the National ID system will be a big help to them, with 32 percent even calling it “a very big help”. Sixty-one percent of the respondents agreed that the government will protect the private information while 49 percent still trust that the National ID will not be used against critics of the government. The SWS has noticed that higher trust in the government to protect private information was also “extremely strong” at +64 among those satisfied with Duterte. Meanwhile, Philippine Statistics Authority (PSA) Undersecretary Liza Grace Bersales welcomed the SWS survey, which was conducted from June 27-30 using face-to-face interviews of 1,200 adults nationwide.